The basketball shoes market has been dominated by the same brands for decades. There is a reason for that. These brands spend millions of dollars in researching and creating the right shoes for your basketball needs. From shoes that are light to shoes that are durable to shoes that are both light and durable, these brands produce everything. With several famous NBA players having their shoes with these brands, these brands provide a different level of attachment to the game we all love. So whether you are a regular person who likes to play basketball or just a sneakerhead who likes to collect shoes, we will present to you the Best Basketball Shoes Brands in 2018. Perhaps one of the most popular basketball shoe brand of all time. Nike has been dominating the shoe game for years. With popular shoe lines such as the Kobe, Lebron, KD, Kyrie and HyperDunk, Nike delivers on high quality basketball shoes. We have done many reviews on Nike basketball shoes on our website so if you are interested in detailed reviews, check them out. The two most popular basketball shoes from Nike are the Kobe’s and the Lebron’s. These shoes, like the basketball players who endorse them, are loved by the people. 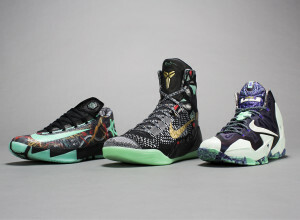 The Nike Kobe line has a lot of great shoes to offer. From lowcut design to high top, the Kobe line has it all. One of the most popular shoes from the Nike Kobe line is the Kobe XI. It has a low-cut design and a great shoe not just for basketball performance, but also its style. We have done a review on the shoe which can be found here. Another popular Nike shoe is the HyperDunk shoe. The shoe is not a signature shoe to any specific basketball player, but it is one of the most popular shoes. There are a few reasons for that. The performance the shoe offers is excellent. A solid design that looks good and is durable. In addition, to that it is affordable. Some basketball shoes can cost a lot of money, but the HyperDunk is economical and provides one of the best performances. We have done many reviews on shoes by Nike. 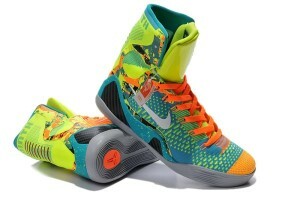 If you are looking for this shoe, check out Nike HyperDunk basketball shoe review. The only brand that can really compete with Nike is Adidas. In terms of basketball shoes, Adidas is no new brand. It has existed for a very long time and is attributed to making some great basketball shoes. Like the Nike shoes, Adidas shoes have been constantly mentioned in our reviews. 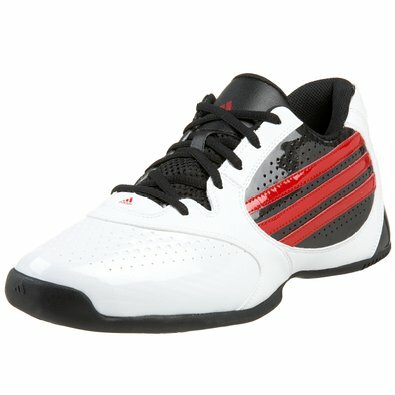 If you are looking for a specific shoe from adidas, chances are we have already reviewed it so be sure to check it out. You can also view our list of best basketball shoes for a certain category and you’re sure to find an Adidas basketball shoe there. Adidas has also partnered up with a few basketball players to create their signature shoes. 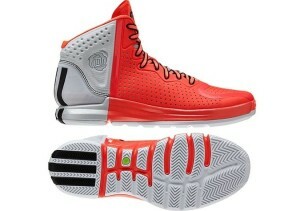 One of the most popular Adidas shoe line of today’s time is the Adidas D-rose shoe line. This is attributed to the basketball player Derrick Rose. A very light-weight shoe that is for players who are quick and need that speed at their disposal. We have done a review on this shoe which can be found here. In addition to that, Adidas makes some basketball shoes that are so classic that people just wear them off the court. For example, the Adidas Top ten line is one of the most stylish and classic adidas shoe line. I myself own 3 pairs of Adidas top 10. They are great shoes with a high top design. If you wish to play basketball, you will definitely keep your ankles protected with the high-top design. Check out more basketball shoes for ankle support here. Perhaps, not as well known as the first two brands, UnderArmour has been producing some great quality basketball shoes. The shoes created by UnderArmour do not only provide pefromance, but are also affordable. UnderArmour is mainly known to make gear such as sportswear, but it has recently started getting into the basketball shoe game. 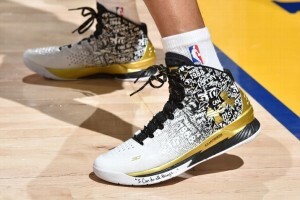 UnderArmour also makes signature shoes for one NBA player whom we all love to see play and that is Stephen Curry. The Stephen Curry line from UnderArmour mixes performance, quality, comfort and durability in one shoe. Not to mention, it is by Stephen Curry, which in itself, makes the shoe that much more awesome. If you are a Stephen Curry fan, you would definitely love these shoes. The Curry One basketball shoes are one of the most popular shoes for basketball by UnderArmour. You may have seen Stephen Curry wearing these shoes in game. Recently, they have launced the Curry 2 which are a high-top design. The Curry One’s, however, seem to look better and more stylish. However, you can view both of the shoes and decide for yourself which one you like the most. The UnderArmour ClutchFit line of basketball shoes can be compared to the Nike HyperDunks. These shoes are not signature shoes of any particular basketball player, but nonetheless, are very popular amongst the basketball community. This is due to their incredible performance on the court and their price. The shoes are not just stylish, but also contain top of the line shoe technology that UnderArmour has to offer. The shoes are a snug fit and will keep you confident throughout your game. The basketball shoe brands mentioned above are the best basketball shoe brands in 2018. Sure, there are a lot of other basketball shoe brands, but these brands have consistently done better than the rest. There is a reason why these companies spend millions into designing and creating new technology for their shoes. It is the end result. Their quality is excellent and the shoes they sell are very popular amongst the basketball community. Other brands that produce basketball shoes include AND1 and Reebok. These brands produce shoes, but there shoes are not as popular as say Nike, Adidas and UnderArmour. At the end of the day, you have these 3 options. You can choose your shoes based on your favorite player or a shoe that is stylish or a shoe that just gives you great performance. It is really up to you. In terms of shoes, all of these brands are great to explore. UnderArmour ClutchFit and Nike HyperDunk might be a great start for new players. If you are a little experienced and you want something stylish, try the Nike Lebrons or Kobes. If you are more of a classic person, you can try out the Adidas top10s because they signifiy a retro design. We wish you luck in finding the right shoe for your game!